Jane’s Grey is semi-transparent, granulating, low staining and has excellent lightfastness. 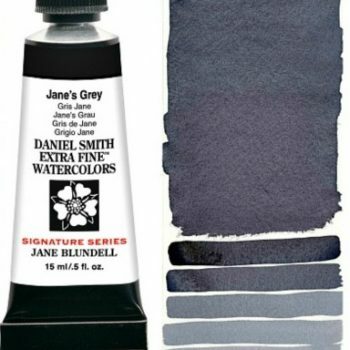 Artist Jane Blundell wanted a gray without the often-dulling effect of a black pigment, and without the staining effects of phthalo blue. She wanted a gray that was liftable and granulating to create the lovely look of stormy skies and softened shadows. 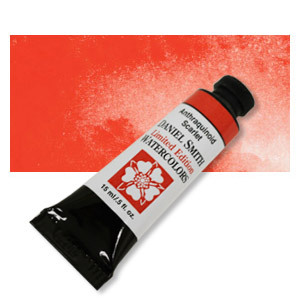 It would also work as a neutral tint, darkening colors without changing them. 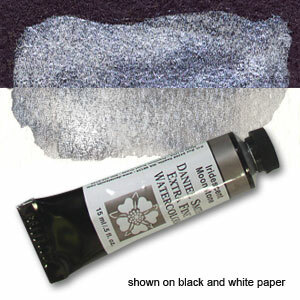 Using a gray that is made with palette colors maintains color harmony in an artwork. 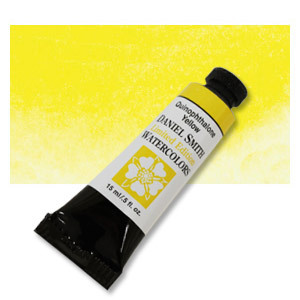 Many artists mix ultramarine blue and burnt sienna as they work, but no one was making this gorgeous mix as a convenience color, so she did to make it easy to create rich darks with ease. Initially she mixed it in individual pans and palettes but the demand from her students meant she started to make it in tubes. 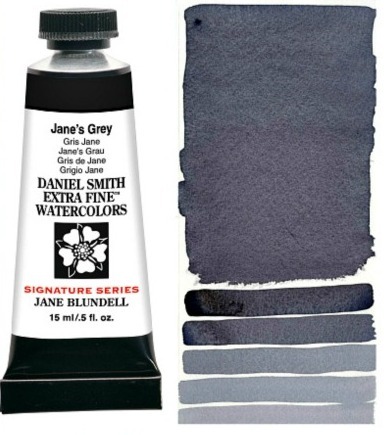 A few years ago, Jane asked DANIEL SMITH to make her Jane’s Grey easily available to artists everywhere. Now available as part of our Signature Series.